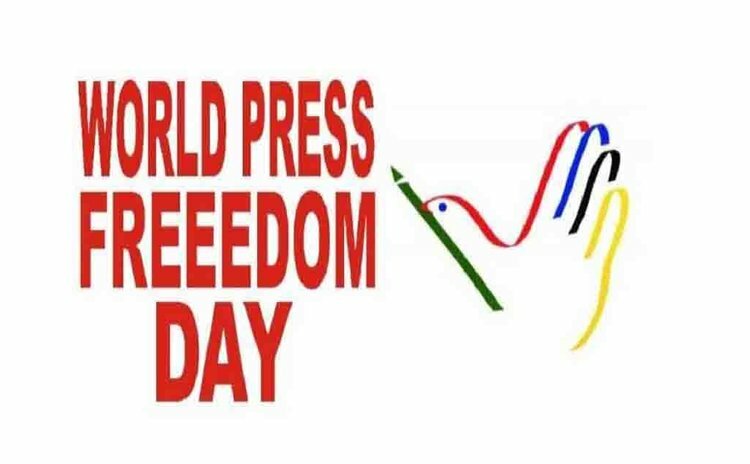 The issue of press freedom, or the lack of it in Dominica, should have been the focus of the observance of World Press Freedom Day (WPFD) here on 3rd May 2018. But like most controversial subjects, electoral reform is another, the Dominican public persisted with its silence and the press itself observed WPFD with nary a whimper. Probably the theme of WPFD itself ("Keeping Power in Check: Media, Justice and the Rule of Law") may have had a constricting effect on discussions because, undoubtedly, the hands of tribal party politics has had its hands around the neck of press freedom in Dominica, slowly choking the life out of it. And, what is more troubling, to quote Bob Marley, we just stand aside and look. But the situation affecting press freedom in Dominica should be considered to be a very grave issue and should not be treated with such dangerous compalcency. And, obviously, ignorance of the facts should not be an excuse because, for instance, the Report of the Commonwealth Observer Mission for the 2014 general election has clearly warned, more than three years ago, that all is not well with the media in Dominica. The report stated: "There is incomplete information on ownership of radio stations, but it was alleged that five of the six stations have either direct affiliations with the Government through shareholding schemes, or are owned or managed by agents of the ruling political party. It continued: "Although the Dominican Constitution guarantees press freedom, the Mission observed that the media is largely influenced by the State-run GIS. Print media is generally allowed to operate unhindered, but it is accepted among citizens that certain radio stations are aligned to certain political parties. The media does not appear to be balanced and fair in their coverage of news worthy events: certain media houses have established relationships with certain political parties and exclusively publish their content. The Christian Code of Conduct notes "the tremendous influence [media outlets] wield over the public". Nevertheless, some defenders of the status quo will contend that the Commonwealth Mission painted an incorrect picture and that the international press freedom watchdog organisation Reporters Without Borders (RWB) in its recently published 2018 index suggested that press freedom in the Organisation of Eastern Caribbean States (OECS) was not as bad as in other democracies of the world. In RWB's index the OECS placed 35; Trinidad and Tobago 39; Jamaica 6; and note this- the United States of America 45 and the United Kingdom, 40. But as our columnist Sir Ron Sanders points out the " report is awkward for the CARICOM region, because two countries are omitted from it and the OECS six are lumped together as if each of their media and all their journalists exist and operate in an identical environment". He added: "If the RWB report is to be taken seriously in the Caribbean it would have to cover the area better than it has in this report, and its methodology would have to be far more detailed and transparent than it is." Nevertheless, it is interesting to note the RWB's comment on the state of the press in the OECS. It states: "Journalism is not a prestige profession in the countries that are members of the Organization of East Caribbean States. Journalists get little training and often abandon media work because it is so badly paid. Many media outlets are under the direct influence of politicians, especially during elections, because officials can withdraw state advertising at any time, depriving them of income they depend on. In some of the Islands, political parties even own or have major shares in media companies, compromising journalistic independence. The authorities are also monitoring social networks more and more closely, which encourages a degree of self-censorship. There has even been talk of addressing so-called "Fake News" in legislation, though no bill has yet to be drafted. The Cybercrime Bill Saint Vincent and the Grenadines adopted in 2016, a vaguely worded law expected to chill freedom of the press and expression online, is likely to be exported to other countries in the OECS. Like many of its neighbors, Saint Vincent and the Grenadines still criminalizes defamation, and this legislation has extended this offense to include online content". RWB's analysis generally supports our view on the state of the press in Dominica that we expressed in an earlier editorial. We argued then that the press in Dominica was coming under increasing pressure; it was accused of being ineffective and inefficient, like a toothless watchdog that has fallen asleep on the job, like a petulant boy entrusted with a man's job. Some people have blamed the inefficiencies of the now defunct Dominica Media Workers Association (MWAD) for the state of the press in Dominica but as we contended earlier dead or alive MWAD (or the new Communication and Media Association of Dominica) cannot be expected to fix the problem of Dominica's poor press. MWAD was an obvious symptom of the malaise, it was not the problem itself. What is the problem? A few years ago Wesley Gibbings, the former president of the Association of Caribbean Media Workers (ACM) pointed to that fact that media in Dominica, as well as the rest of the Caribbean were primarily adversely affected by factors such as ownership of the press, political pressure, unprofessional conduct, libel laws and commercial interests. We agree. In such circumstances then, where government or its supporters control practically all the media, it is extremely difficult for journalists to heed their own canon of commitment to truth, to accuracy, to fairness, to balance and to objectivity and to strive to clearly differentiate news from party political propaganda, advertising, promotion and opinions.